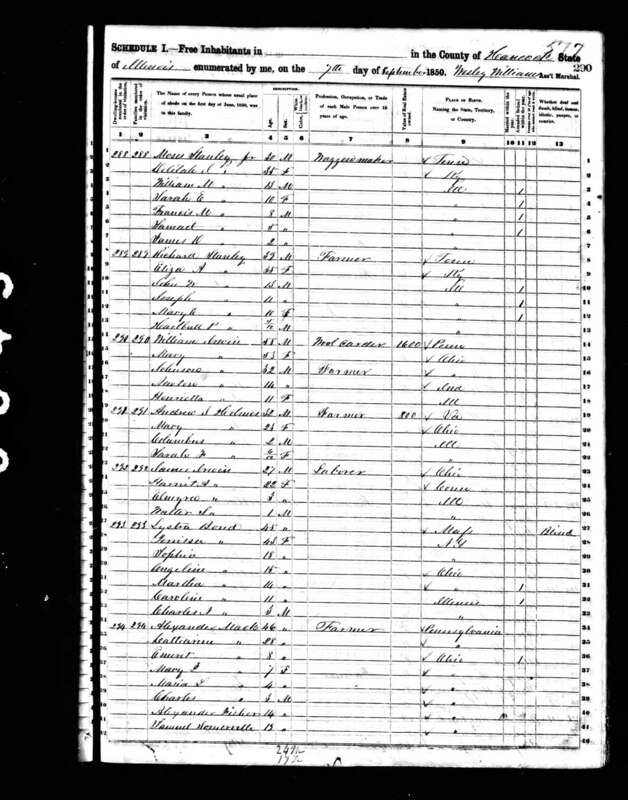 This is the 1850 Census of Hancock Co, Illinois. I have transcribed it to the best of my ability. 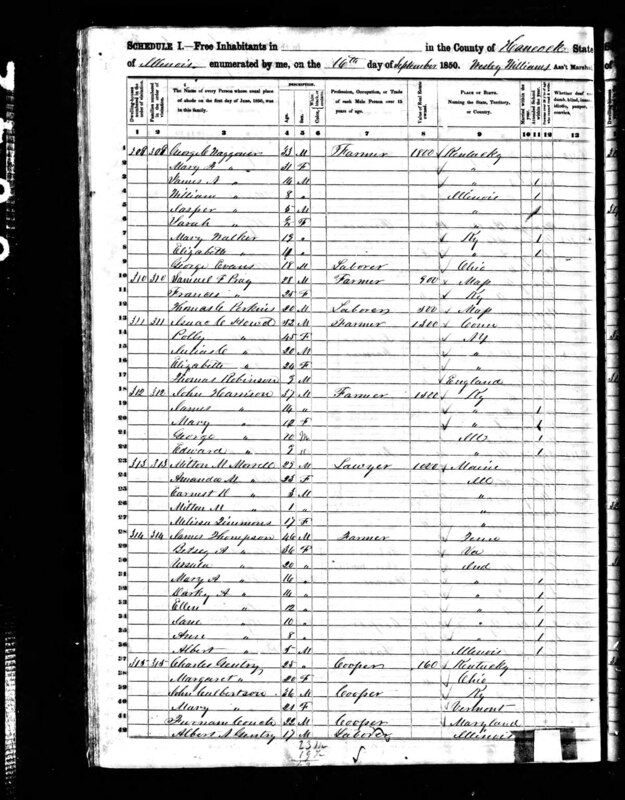 Census records are very hard to read and some of them are to light to see anything. The middle initials may not be the right one as those are really hard to read. If you find there is an error that you personally know is wrong please let me know and I will correct it. If I have left someone out, It is only because I could not read their name. 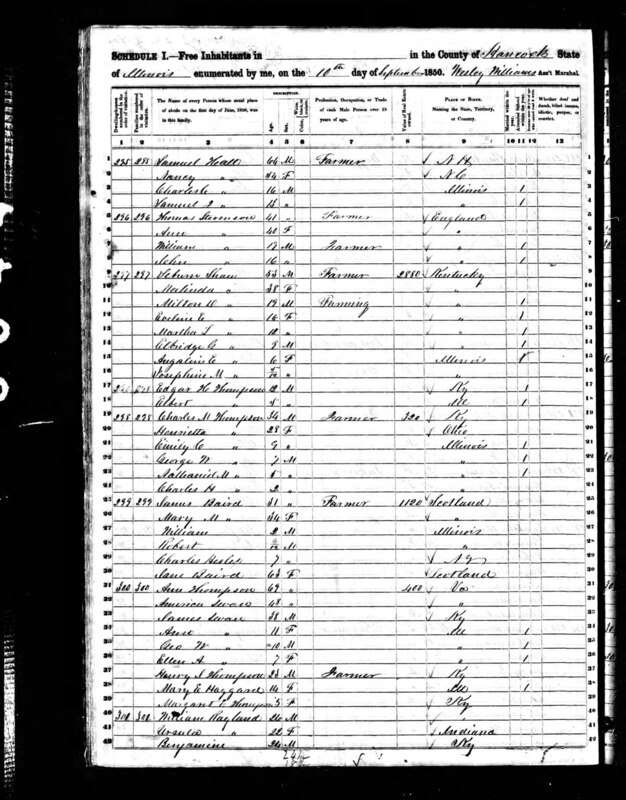 If you know I have left someone out and have a copy of another census page that they are on, please send me a copy of the page from the original census and I will add them to the census. 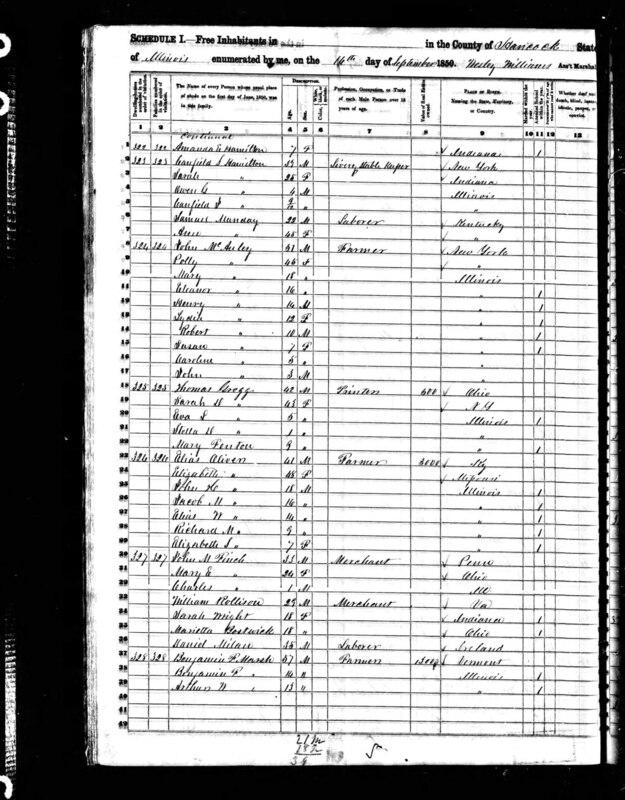 If you have a relative on this census and you know I have mispelled their name please email me with the correct spelling and page number as it appears on another census and I will correct it. 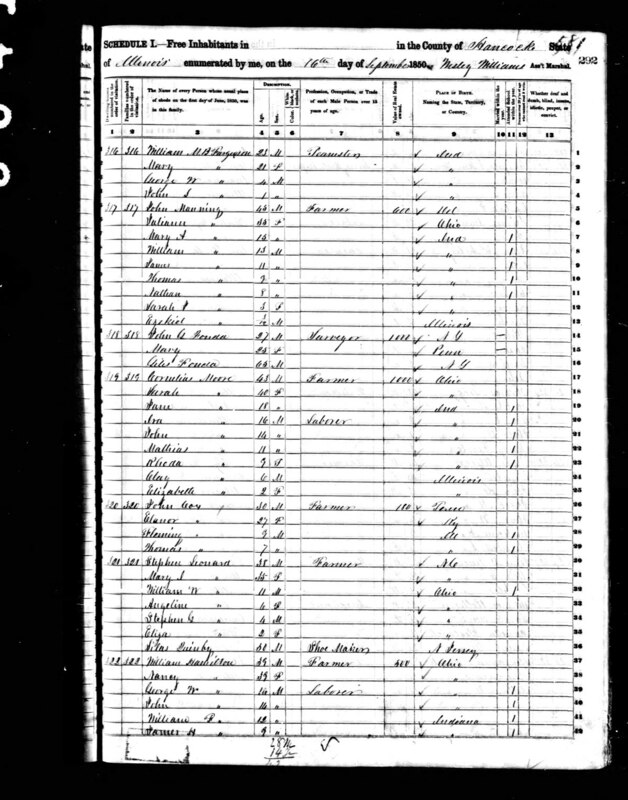 If you don't understand something on the census, please email me after you have read the discription of the columns. If the last name changes, I will put in the last name, followed by a comma. Otherwise they all have the same last name in that dwelling. 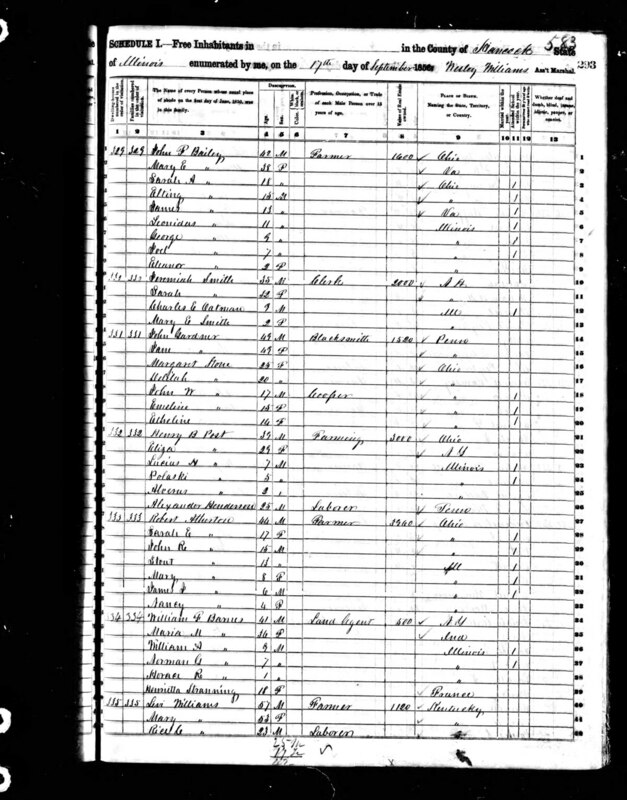 If the name is blank but there is an age, There was no name on the census. 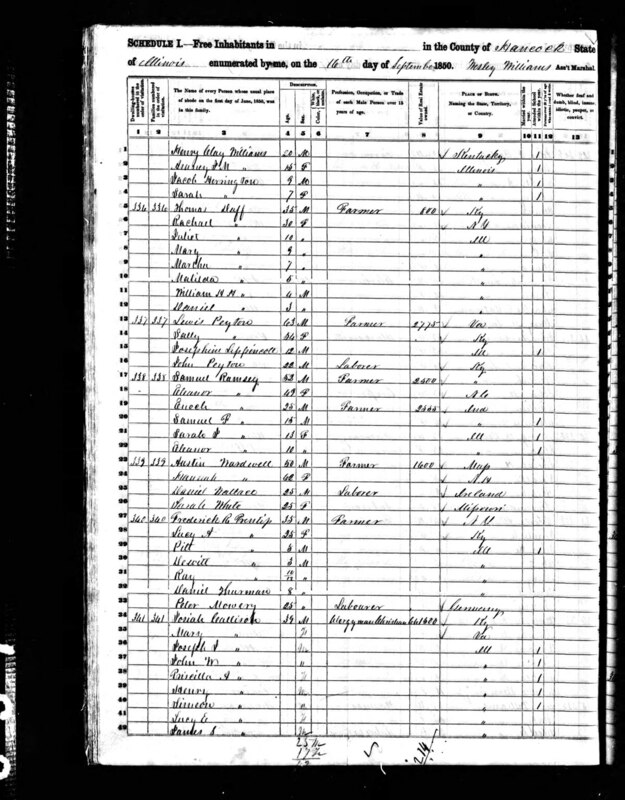 Column 4.= Age, If the age is blank it was not on the census. Column 7.= Profession, Occupation, or Trade of each person, Male or Female over 15 years of age. Column 8.= Value of Real Estate Owned. Column 9.= Place of Birth, Naming the State, Territory or Country. Column 10.= Married within the Year. Column 11.= Attended School within the Year. Column 12.= Persons over 20 years of age who could not read or write. Column 13.=Whether, Deaf and Dumb, Blind, Pauper or Convict. 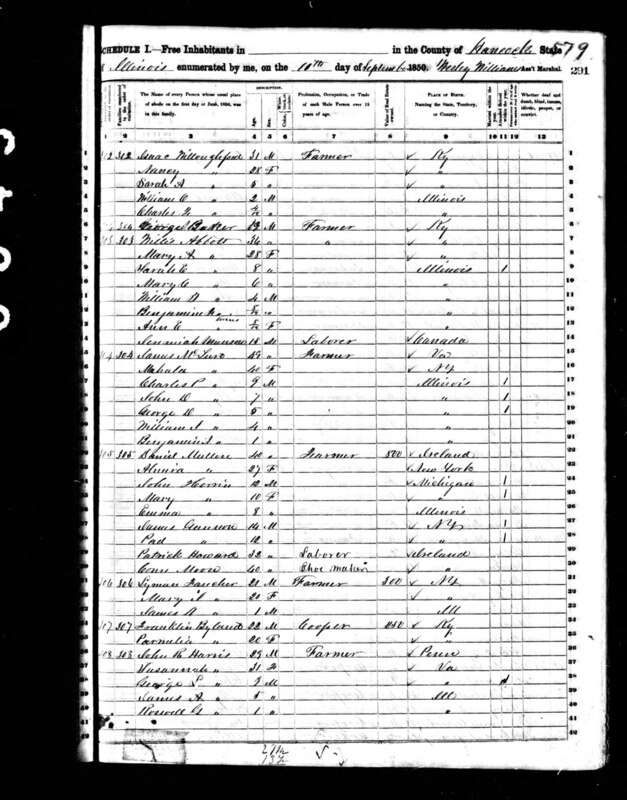 Page 6-Corresponds with census pages 290 A - 293 B Images - 290a , 290b, 291a, 291b, 292a, 292b, 293a, 293b,, Click on the image to enlarge.